After being immersed into the Portuguese language studying abroad in Brazil, Grand Valley State University student Olivia Seaver was trying to think of ways she could keep up with learning and retaining languages once she came back to the United States. From personal experience and research, Seaver said that the best and fastest way to learn a language is through total immersion – doing all things in that language so that you eventually are forced to learn and understand. Additionally, Seaver found in her research that the best time for someone to learn a language is between the ages of two and 12. Through those practices – immersion, storytelling, music and a focus on children – Seaver hopes to start an after school program for kids that will help them learn another language. One challenge looking forward, Seaver said, is that kids that are a little older and closer to 12 years old will have a harder time at first learning the language. After initial research, Seaver did a community survey to garner the interest or need for a program like this in Grand Rapids. Seaver giving her idea pitch at the CEO competition on October 10. Recently, Seaver placed second place in the GVSU Idea Pitch Competition hosted by the GVSU CEO club, an student-run entrepreneur club on campus. 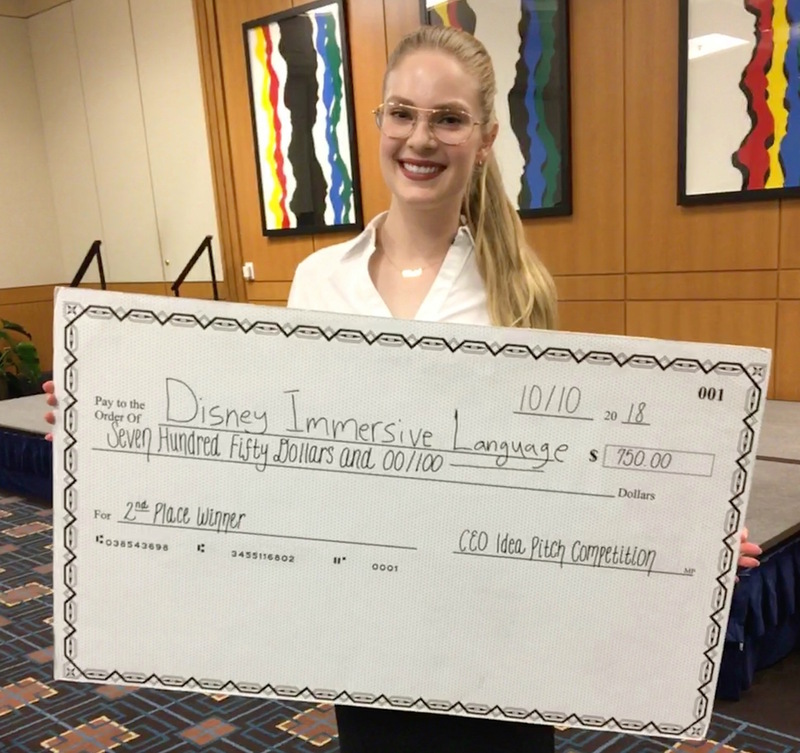 With a fresh business idea – she came up with it a week before the pitch competition – and a $750 check, Seaver is ready to test the waters. Seaver would then use the money to buy the appropriate materials for games and activities to do with the kids, and of course to pay the teachers involved in the pilot program. Seaver is a senior at GVSU, double majoring in Management and Spanish. You can also find her working as a conversation partner at the GV ELS Center in Allendale.